Role play panels are one of our bestselling products, and with all of the benefits role play has on early years development, it’s no wonder. 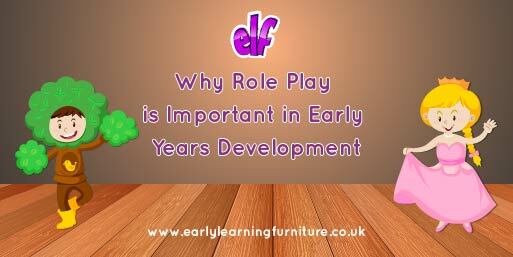 Like with any type of play, role play is a great way to improve your child’s verbal communication skills. Having to imagine a scenario and interact with other people in order to play a game helps little ones to think more carefully about what they say and how to get their point across. Role play also presents children with opportunity to learn new words and expressions from those around them. Some children are shy and might struggle interacting with other people around them. Role play panels can alleviate some of the pressure they might feel by creating a fun and non-imposing area to play in. The versatility of role play opens the game up to everyone and can encourage children to get more involved in the activity. One of the most important skills children can learn in their early year’s development is how to solve a problem. Role play can throw up scenarios that children might not have encountered before, therefore forcing them to think logically about how to overcome it. Identifying a problem and working together to solve it is a crucial part of forming bonds with other children, making role play all the more important. There is so much focus around building up academic knowledge from such a young age that it is easy to forget how important it is to have a big imagination. All of the great academics of our time – including Einstein – have all emphasised how far creativity can take you in life, and there is no better way to build on a child’s imagination than with pretend play. It’s easy for children to be separated from real-life scenarios and most of the time this is for the better. However, there are some occasions where it is beneficial for children to have an understanding of what is going on. Shops and a doctor’s office are good examples of this as it teaches little ones how to react in these common situations in a relaxed and calming way. 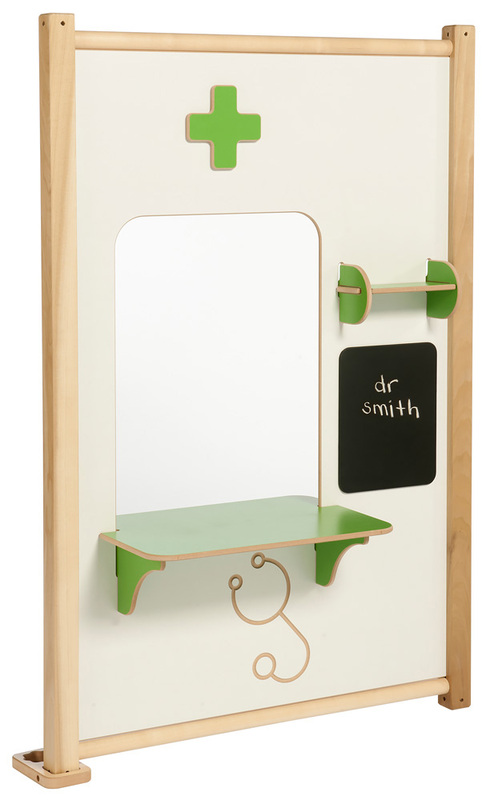 We supply a wide variety of role play panels that are perfect for helping to improve your child’s cognitive development. We have several role play panels that can help your child learn more about the jobs that people do. Our garage and health centre panels are the most popular, but the post office panel is an equally as good tool for understanding retail situations. Everyone loves a trip to the theatre, so we know that your child will love our theatre and folding shop role play panels. You can even add in little pots of popcorn to make the experience seem more real (and tasty!). Sometimes, it’s better to just let imaginations run free. We have a wide range of plain panels that are perfect for encouraging a little bit more creativity. The whiteboard and chalkboard panels can be used for anything because of the customisation aspect of the materials, whilst the window and double door panels can be linked to create a house. Our role play panel sets are perfect for schools and nurseries to create large imaginative play areas. They are also more cost effective if you want several panels. You can choose from our occupations set, our shop set, our home set or our theatre set just to name a few. All of our role play panels are linkable, meaning you can align several in a row to create the exact set up you want. Each panel is suitable for children aged three years and up. They are made from solid wood to help increase the longevity and the durability of the panels, and each panel is made in the UK. They come with a five-year warranty. If you would like more information about our role play panels, please contact us or call 01733 511121.